It can be hard to find a team of designers, engineers and construction professionals who all are working for the same goal of providing exceptional marketing through signage. Best Signs Incorporated, located in Palm Springs, California are wayfinding consultants who have a team that are passionate about providing their services. 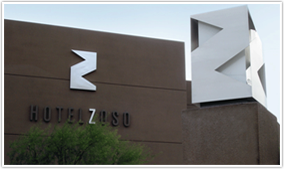 Their mission, that has stayed solid since their beginning in 1960, is to provide unique sign design, while always using the highest quality products. Over the years as their trade has progressed, they have learned to flow with the times and become trained with each new technological advancement. Their years in the market has given them the opportunity to witness the many transitions of technology and has enabled them to expand their services that they offer. They are very proud to offer digital print for store windows, banners, vehicles and posters. Always have they been a company that has provided advertisements through ways of signs, but they are excited to offer another outlet to businesses to advertise their services. BSI's services go beyond just digital print. 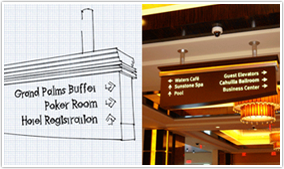 They are wayfinding consultants that offer the many services that go along with designing a sign all under one roof! Crane service, permit procurement, installation and repair are just some of the many skills they provide. 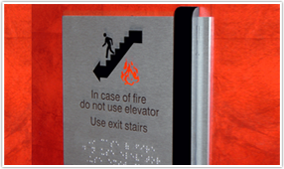 The process of an idea to a sign to being seen by the world is simplified by their enthusiastic approach to their business coupled with their capabilities as wayfinding consultants. Their portfolio is also something that they are very excited to share with their customers. It proves that they understand the marketing needs of a wide range of businesses. They have worked with resorts and spas, creating signs that direct their guests to the pool or spa or dining room within their hotel walls or to their golf course or parking lot outside. Many restaurants rely on them for creating specific interior and exterior designs that achieve the specific theme of their business. Larger venues and smaller venues such as malls and airports or private communities and homes have contracted BSI's services and have been happy with the results for directional signage in their parking lots and neighborhoods.